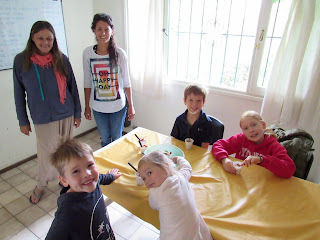 La Montaña I Learn Spanish in Bariloche is the leading Spanish school in Patagonia Argentina organizing Spanish immersion programs since 2002. Our school offers tailor-made group and individual Spanish lessons, family-stays, volunteer work, specialized courses and special packages. At our school, students enjoy great age, nationality and cultural mix. Our courses incorporate various cultural and outdoor activities to encourage students to fully immerse in Latin American culture and experience beautiful Patagonia. 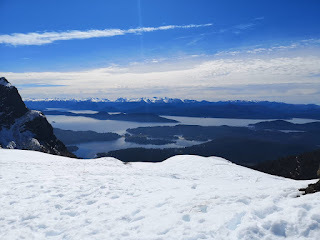 Surrounded by beautiful mountains and lakes, Bariloche offers majestic sceneries, breathtaking views and vast choice of outdoor activities all year around. Experience Patagonia, learn Spanish and earn college credits with us in Bariloche! We work with 8 Spanish levels, in small groups, focusing on the development of the 4 communicational skills. Bariloche is the perfect place for combining Spanish Learning, Adventure, Culture and Outdoor Activities. La Montaña organizes at least 3 after-class activities per week. This is a great bonus in how to learn Spanish. Learn Spanish language, enrich your educational experience with our local culture while enjoying breathtaking views and outdoor activities.